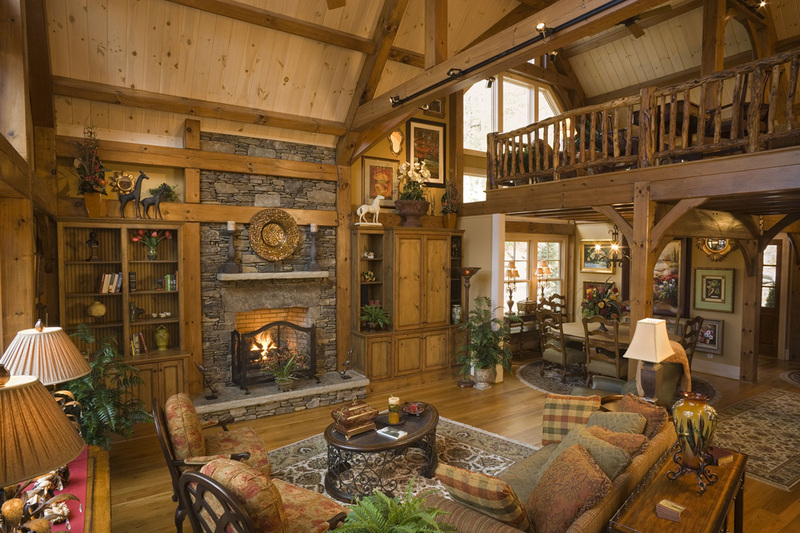 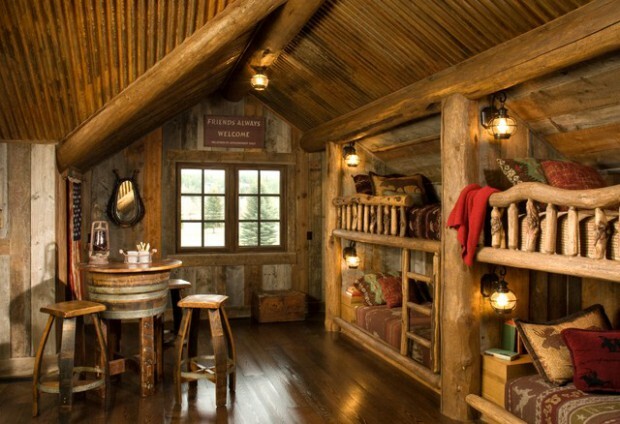 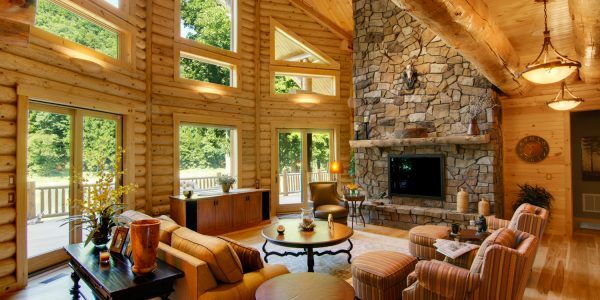 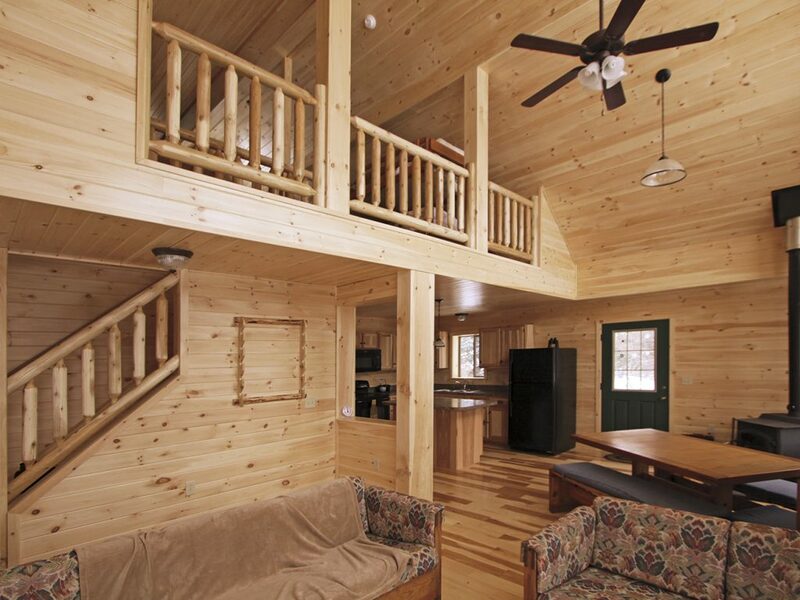 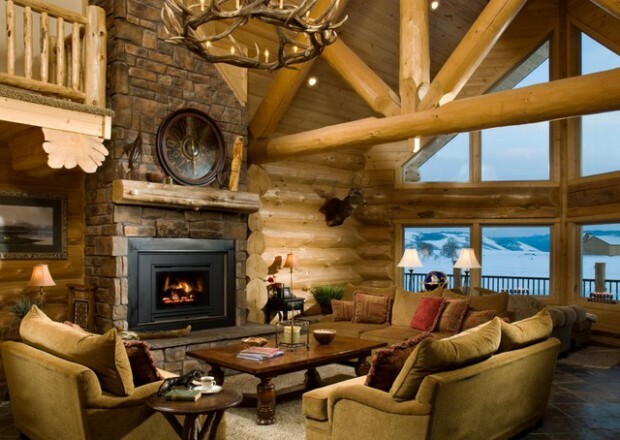 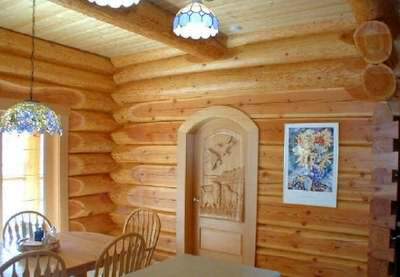 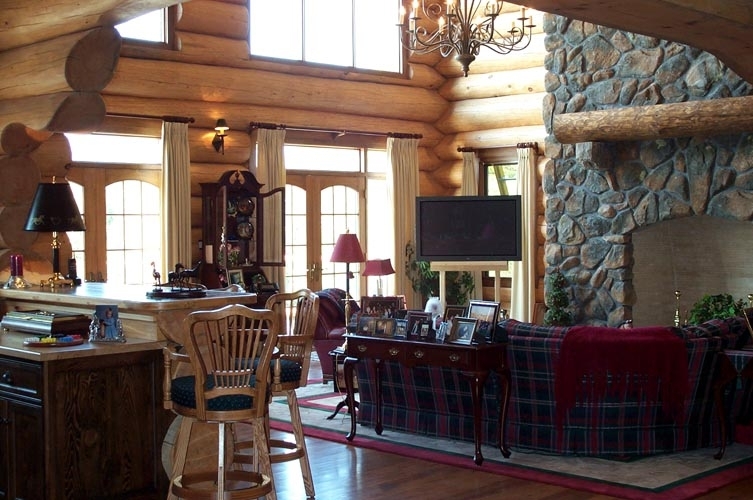 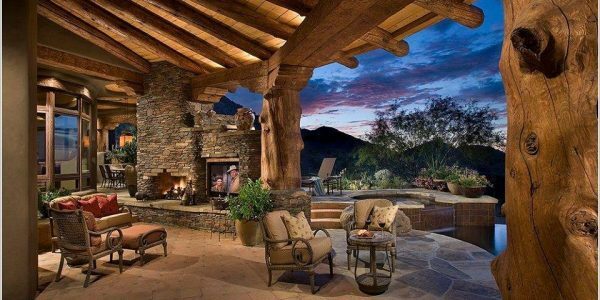 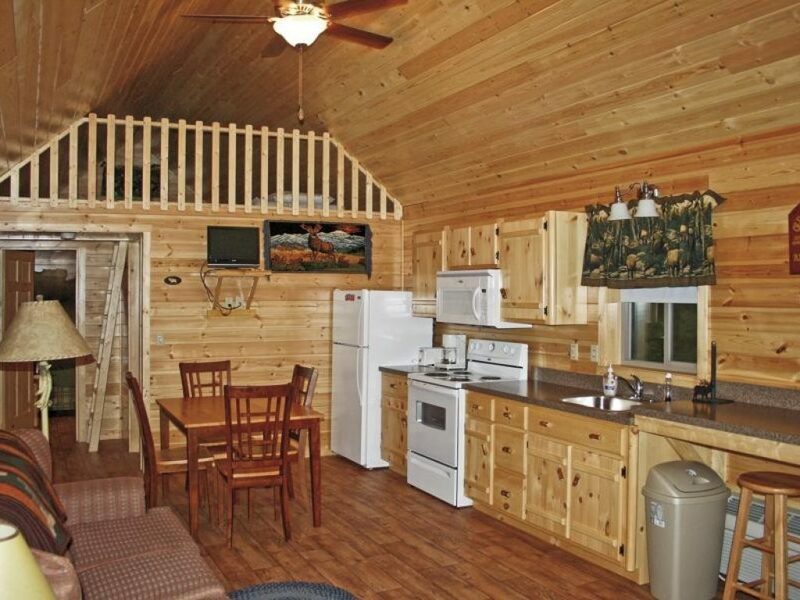 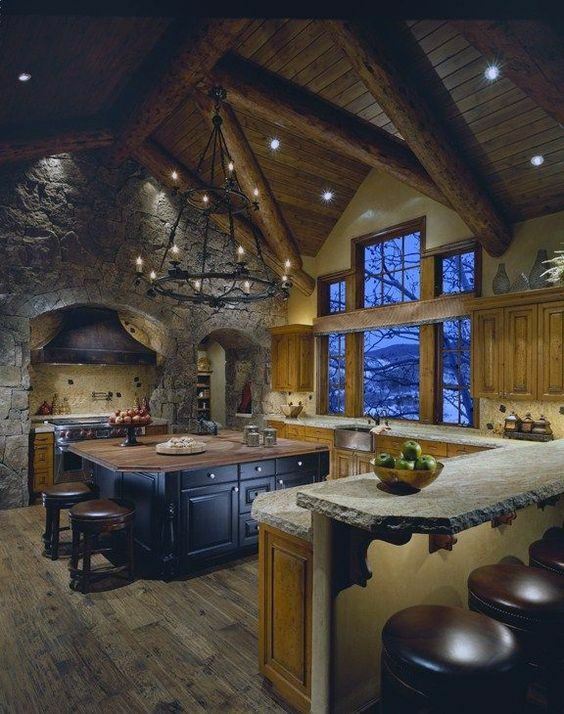 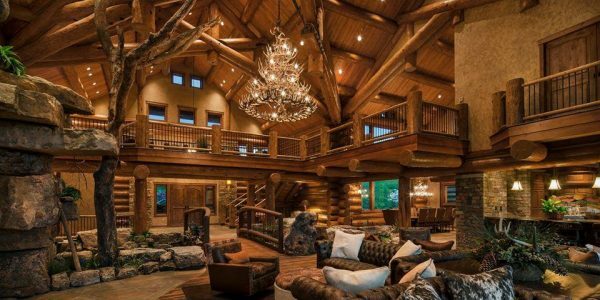 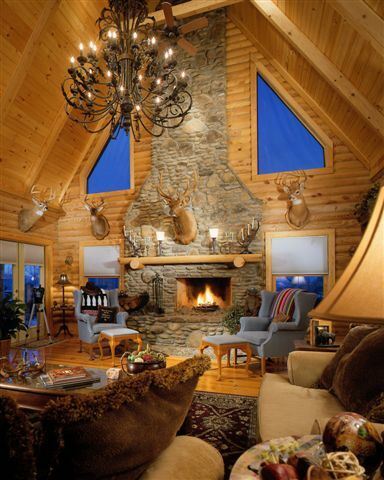 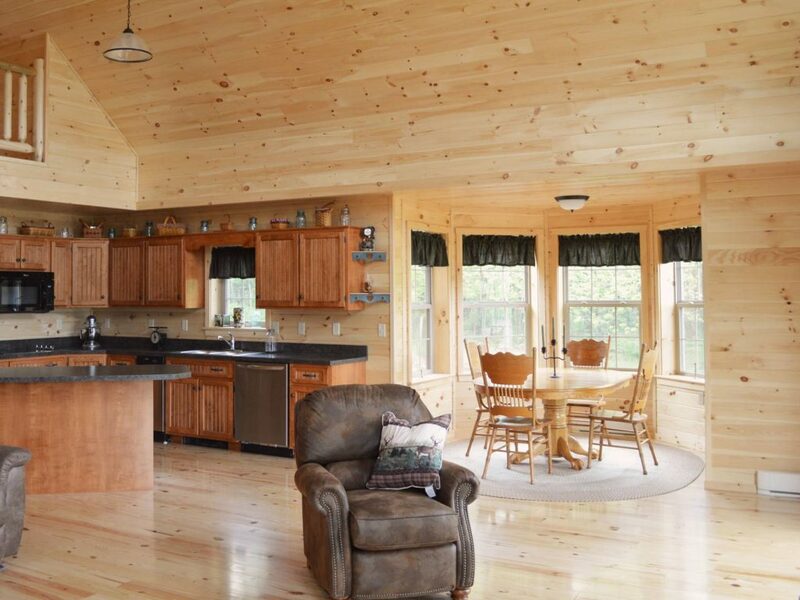 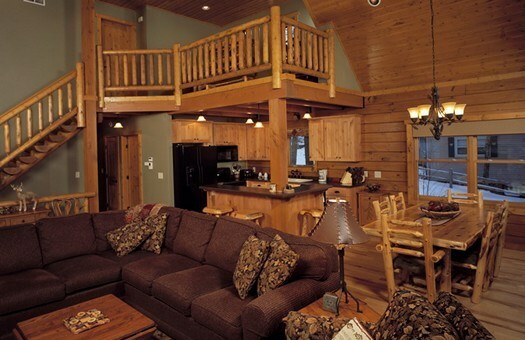 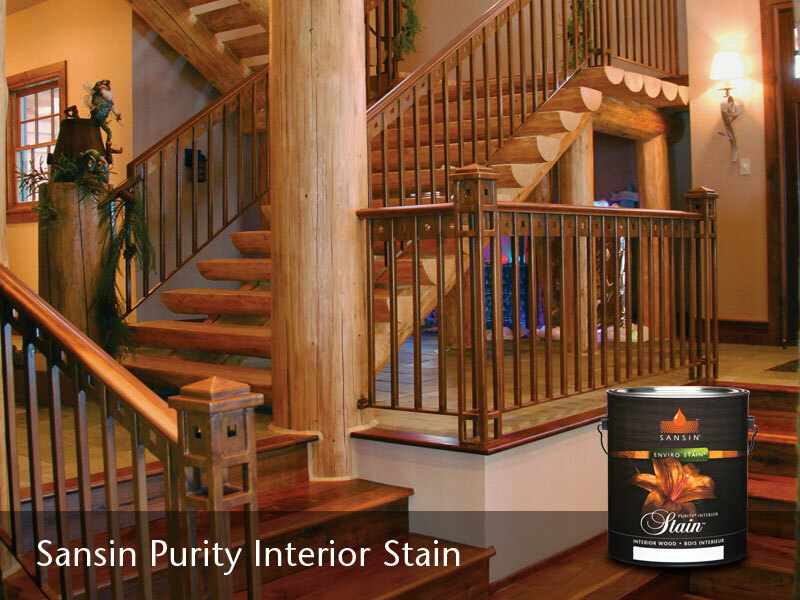 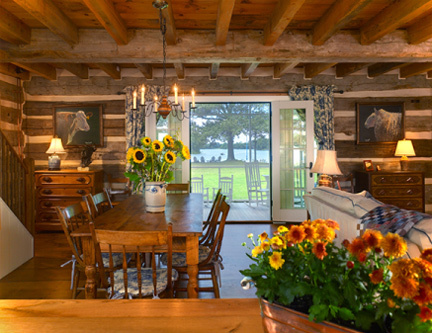 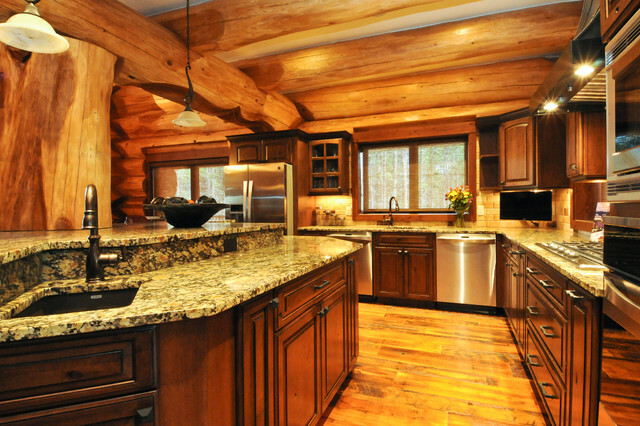 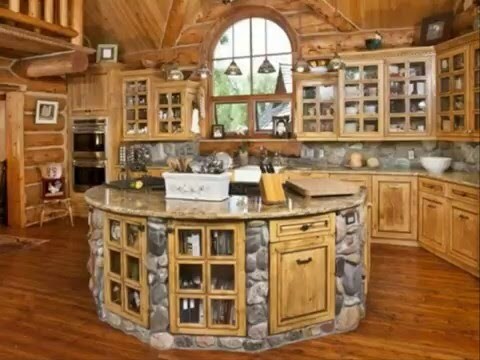 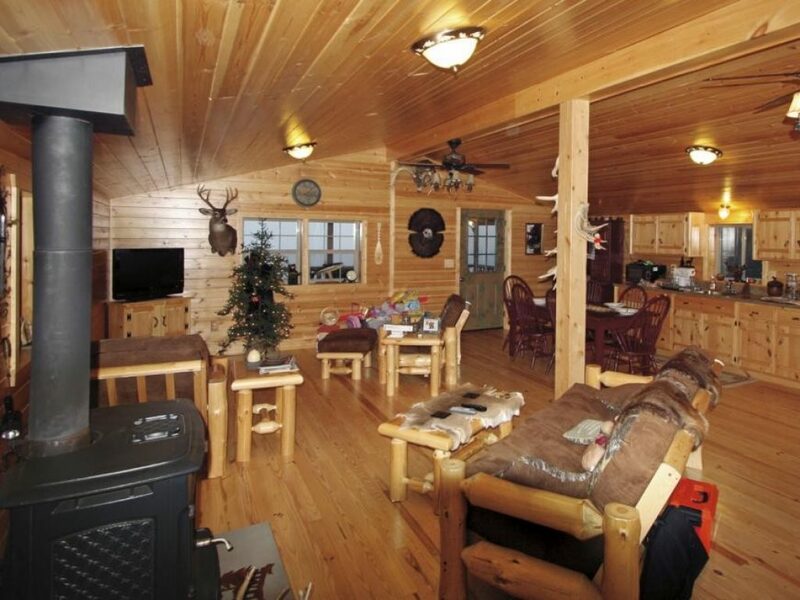 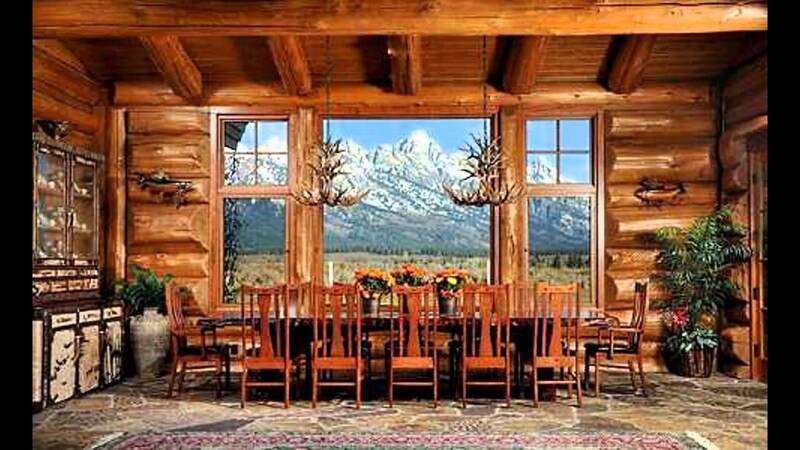 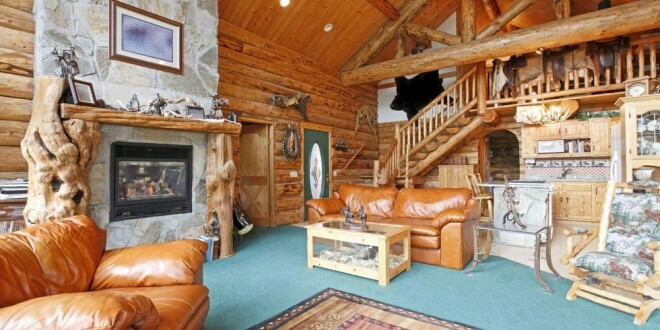 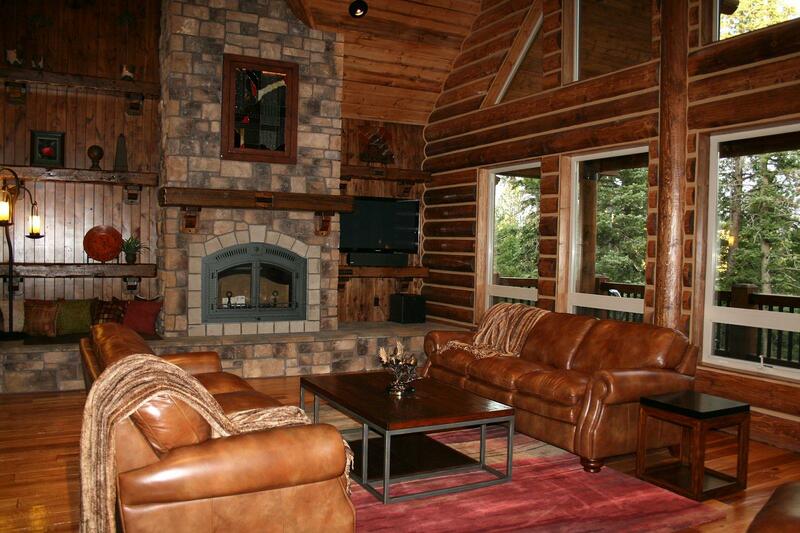 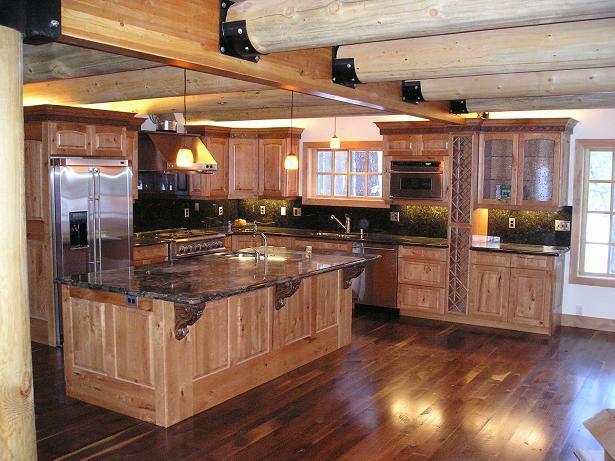 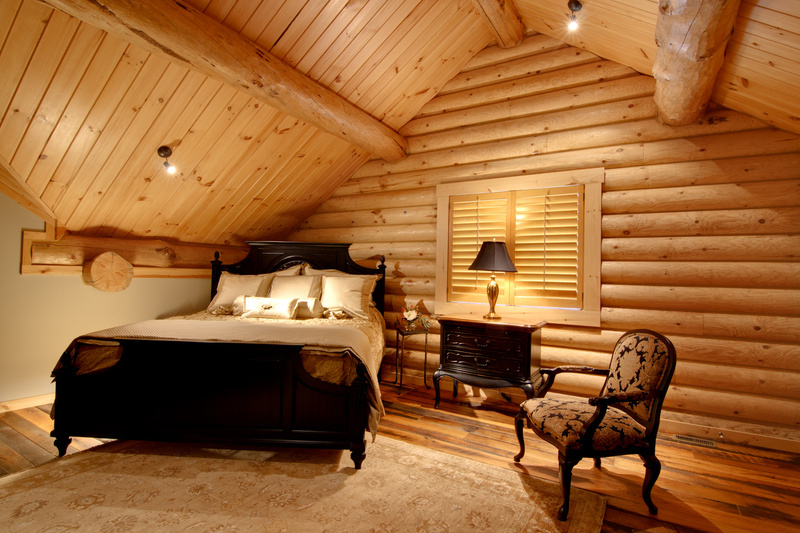 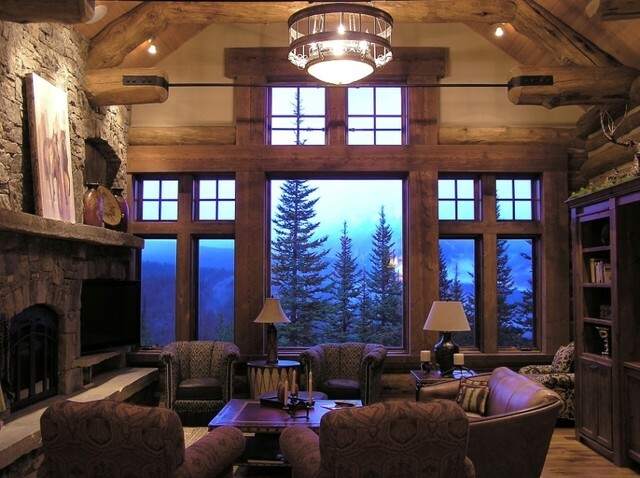 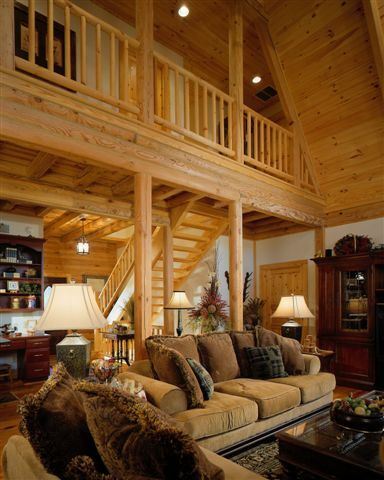 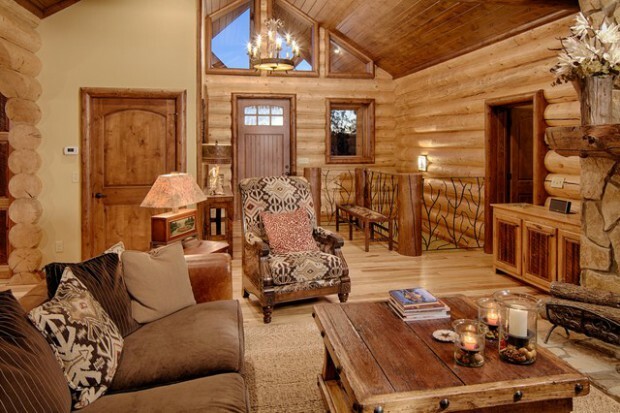 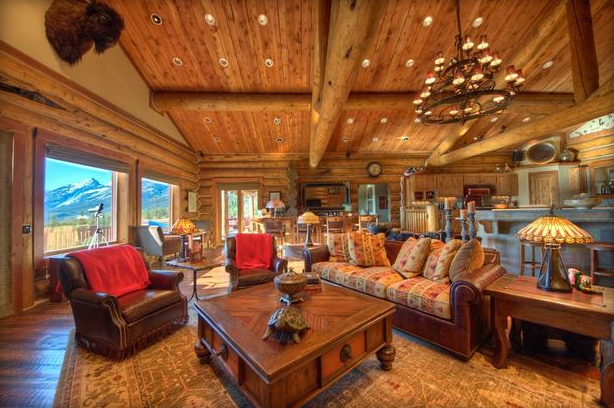 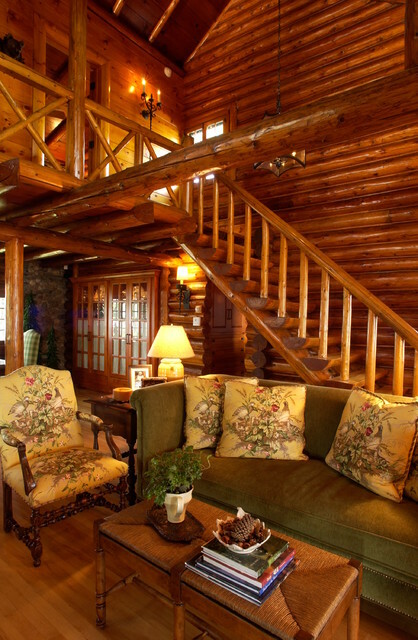 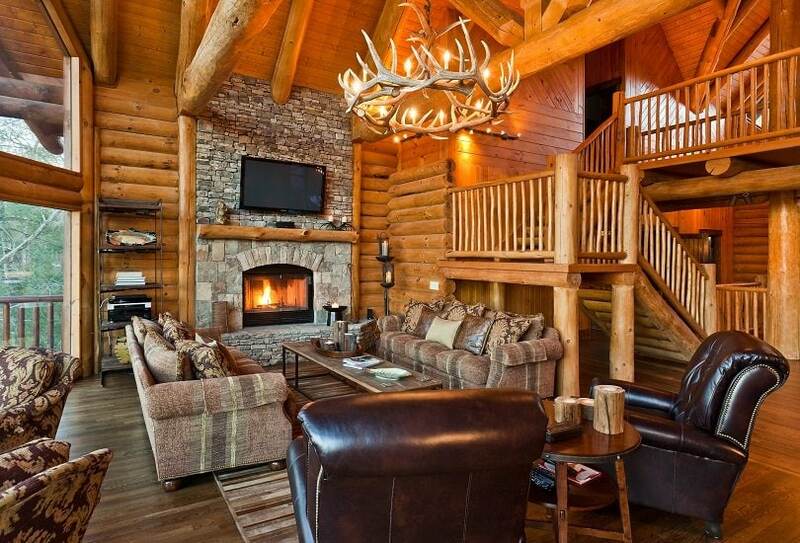 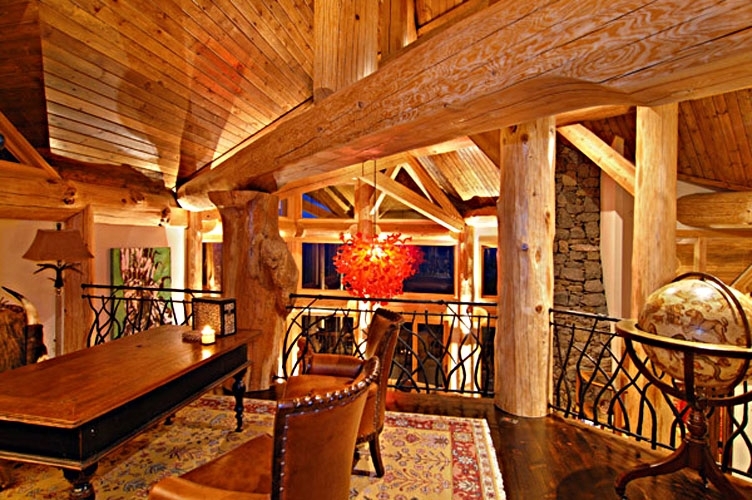 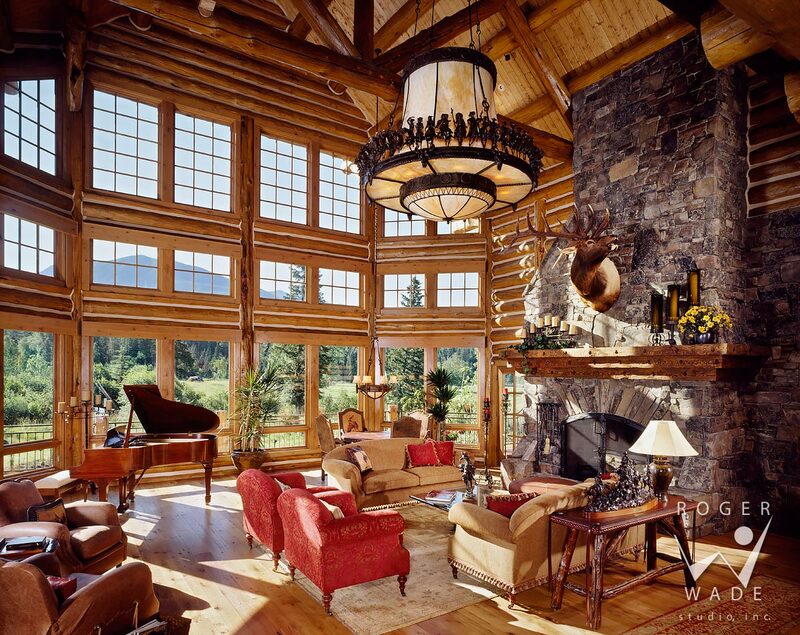 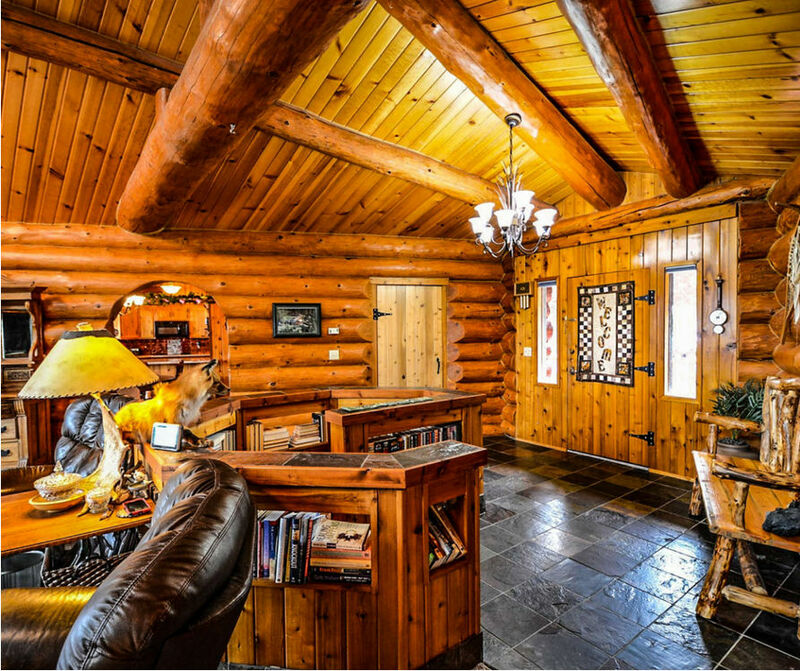 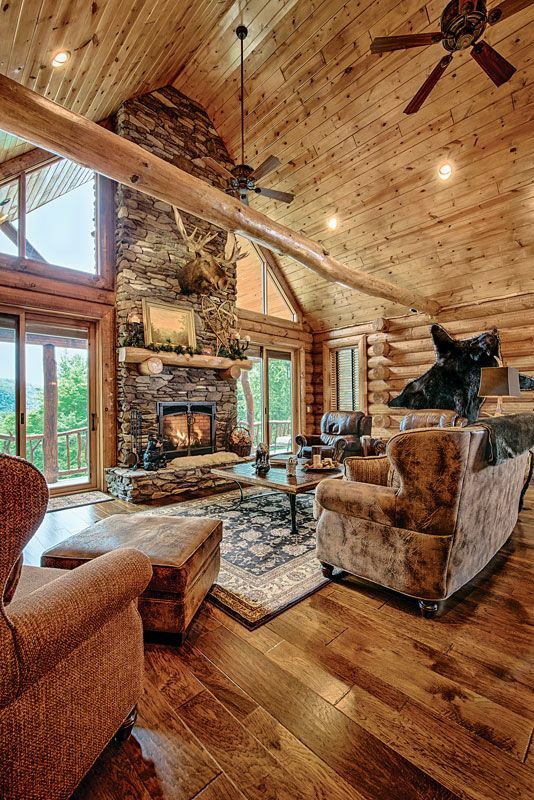 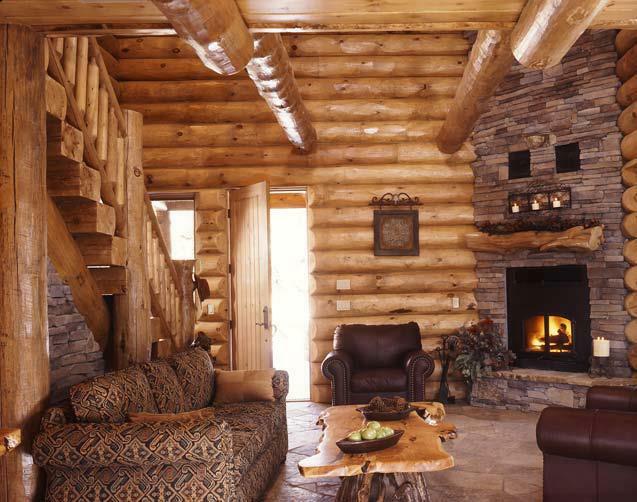 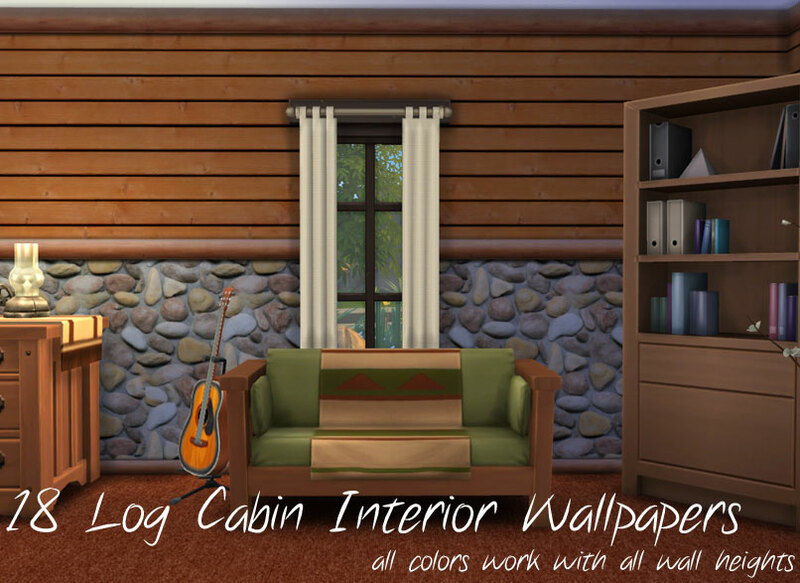 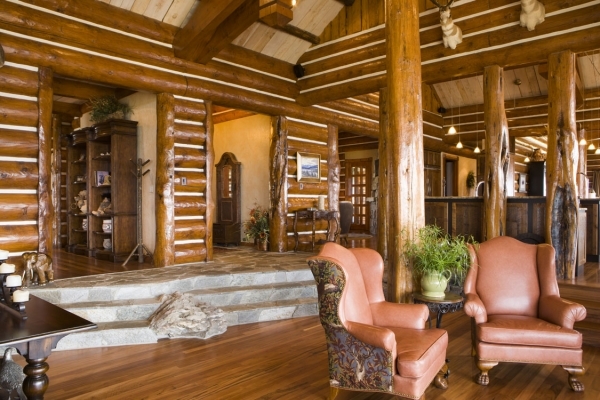 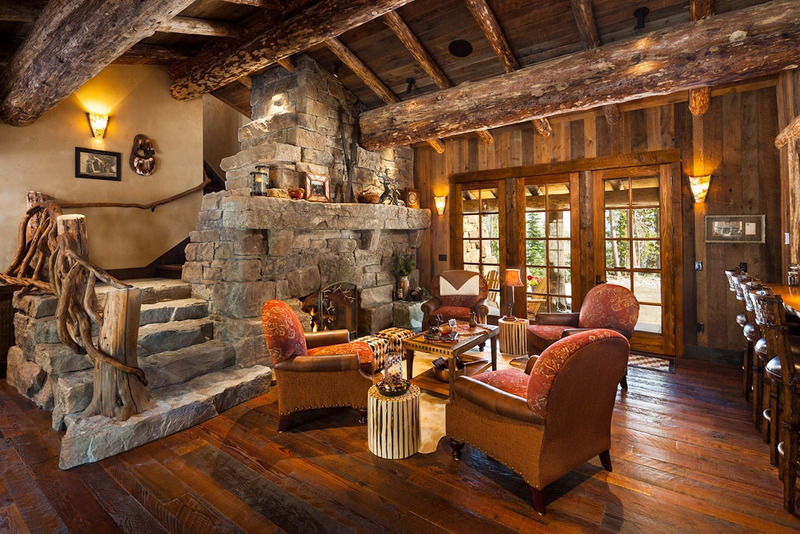 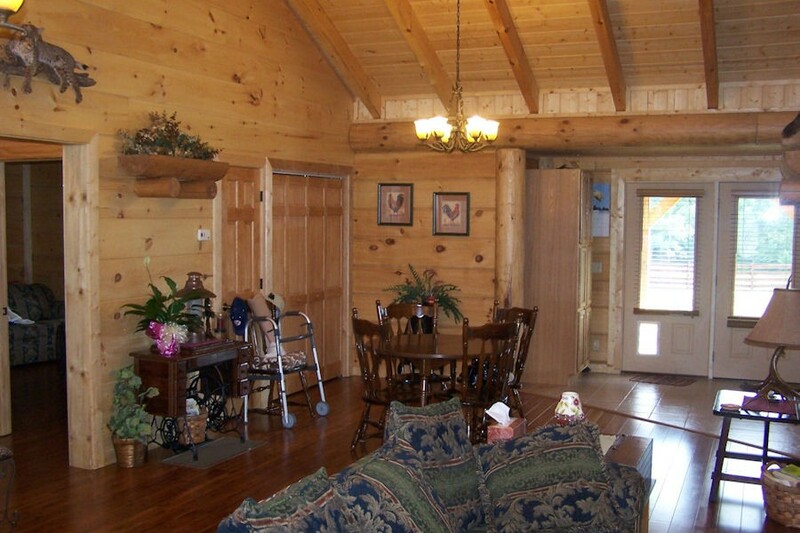 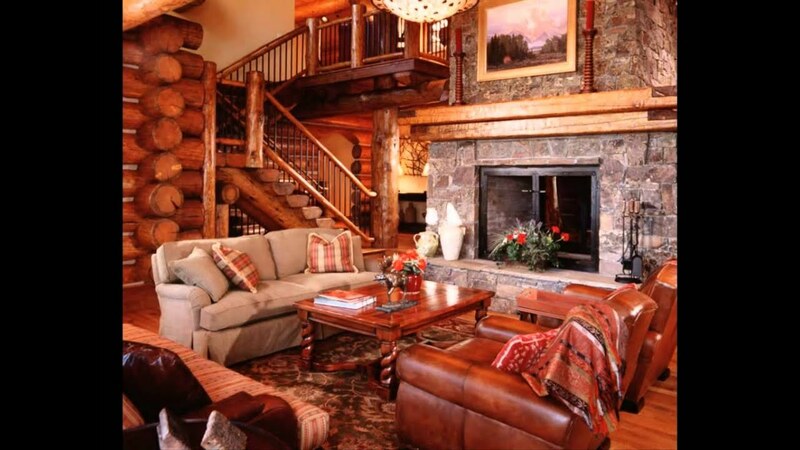 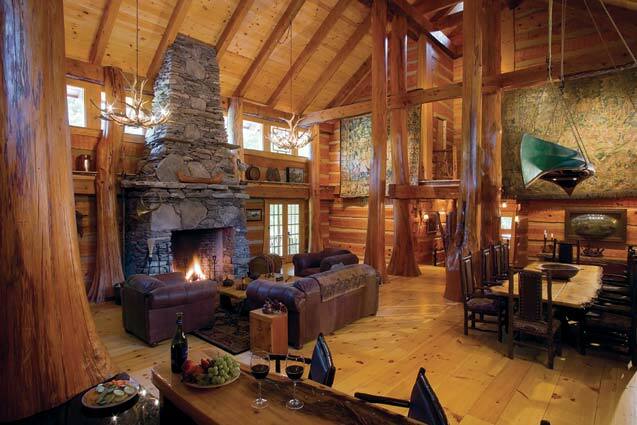 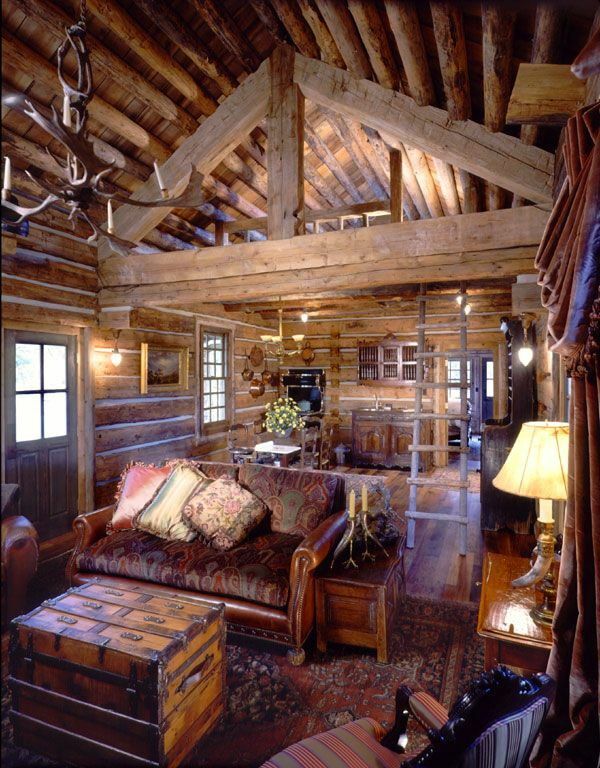 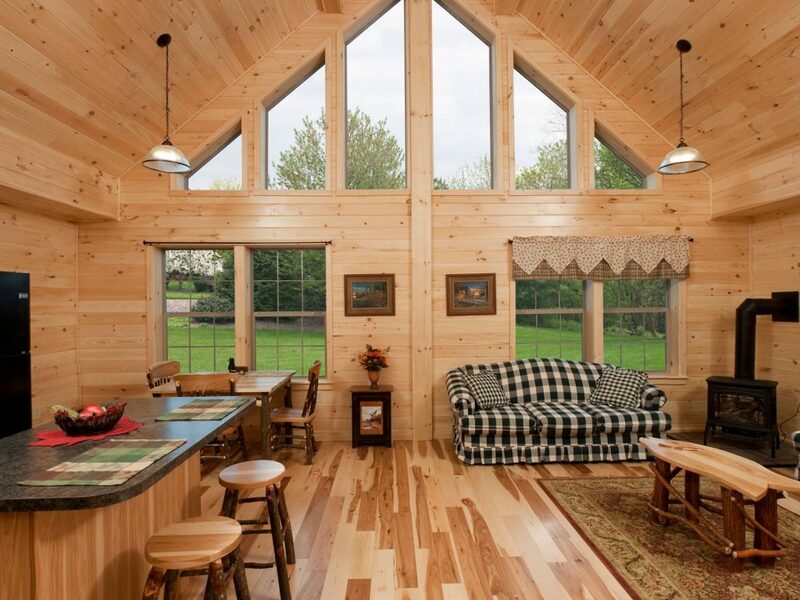 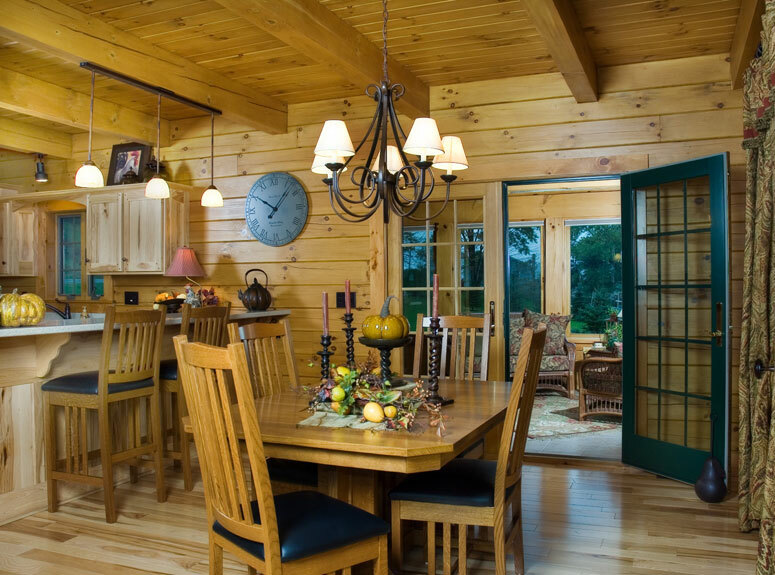 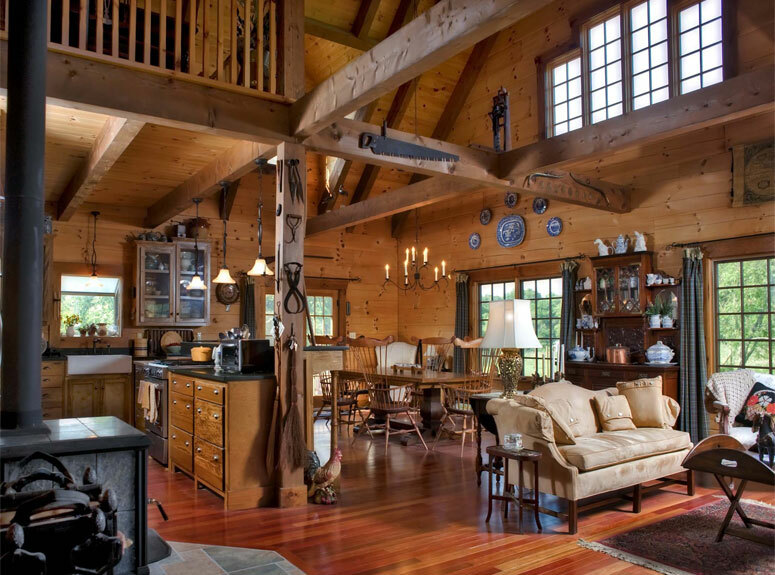 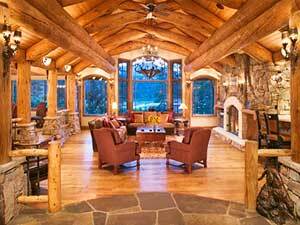 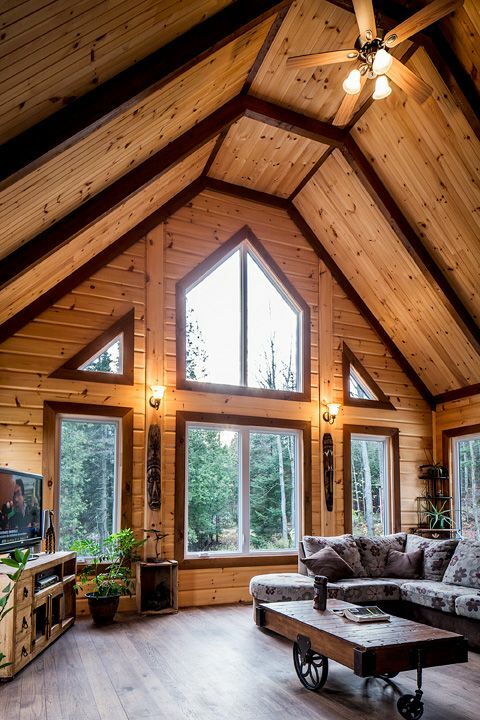 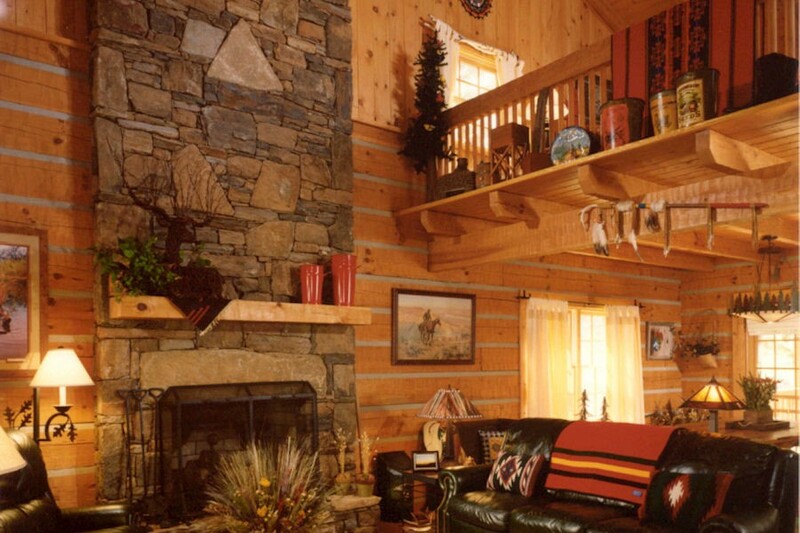 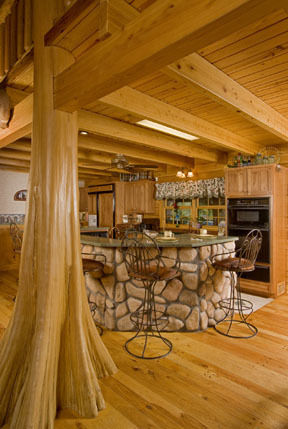 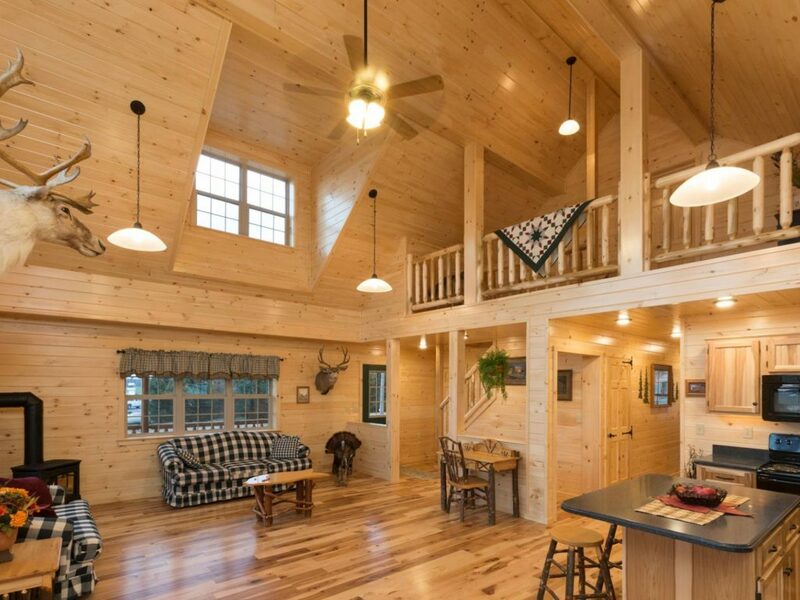 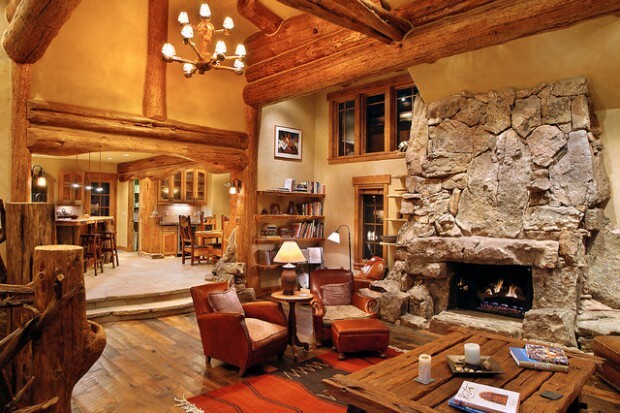 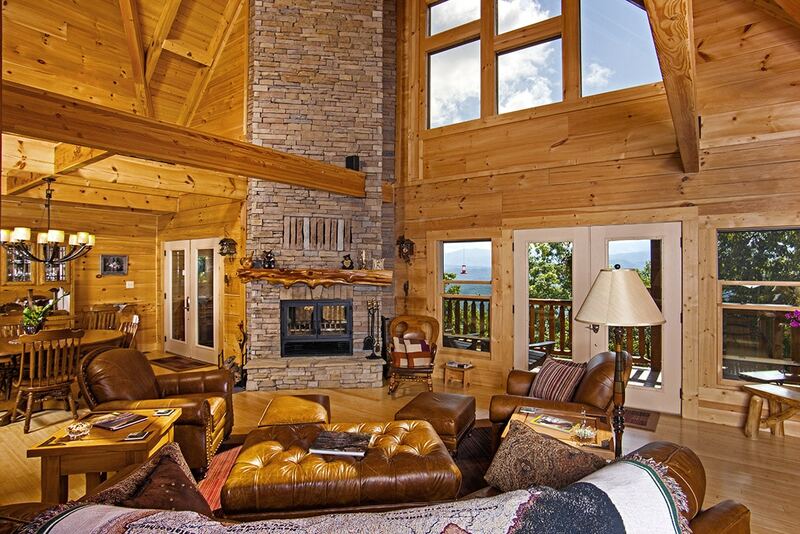 Using Different Stain Colors On Your Log Home Interior Walls Looks Fabulous! 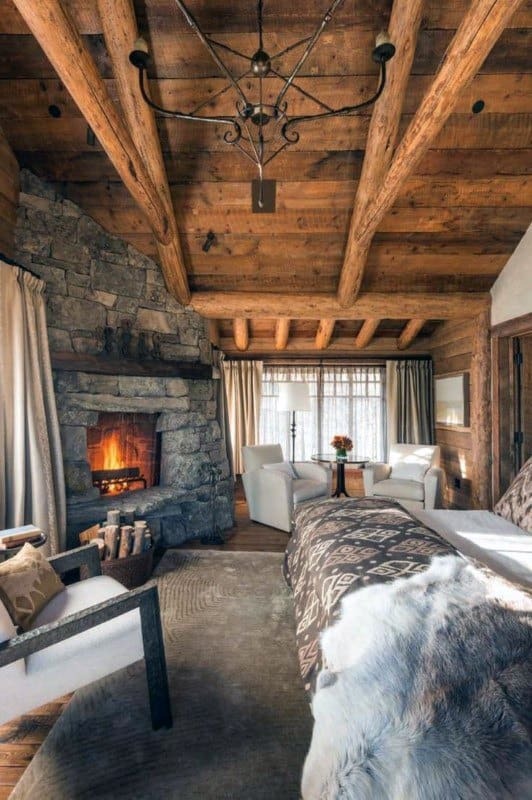 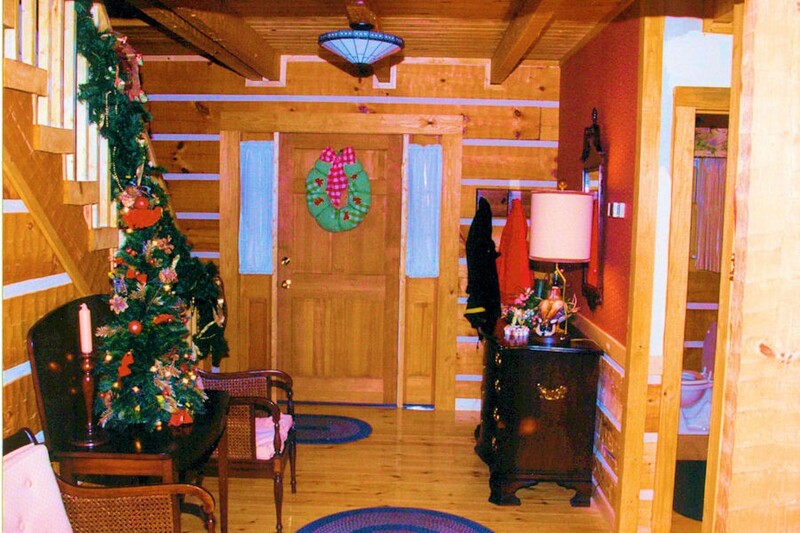 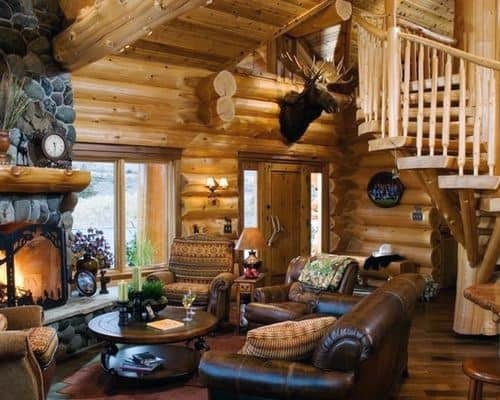 Log Rooms Are So Cozy At Christmas. 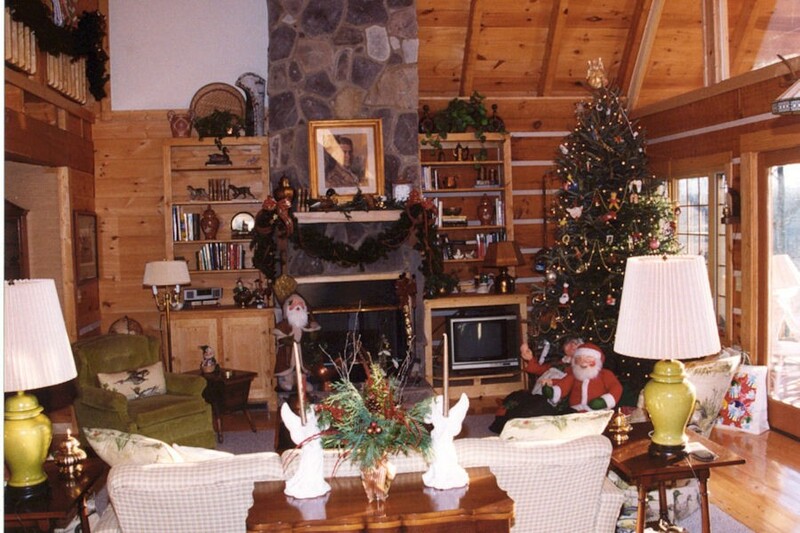 A Live Tree And Handmade Ornaments Are A Must For Decorating.